When the ice started to melt in Antarctica, resistance to the idea of a ‘new norm’ in the climate finally started to wane. It is hopeless to refuse to believe that there is something wrong when centuries-old ice is finally starting to disappear. While scientists say this process is irreversible, how we deal with this reality is up to us. First, now that the environment has slapped us back at the face after man has continuously abused it, we have to see how best to realign our lifestyles to something more in harmony with nature. We are seeking, therefore, for an eco-friendly design in our structures. It does not mean we tie some sticks together and camp-out under the stars au naturel. Reality check, we are rabid consumers of resources. We cannot change this in a matter of days. But there’s hope. For now. Going green can simply be a matter of choosing to live in an energy-efficient building. A fine example of an energy-efficient building would be Primavera Residences in Cagayan de Oro. Its design allows residents to save on energy through features that cool the units, lessening the need for air conditioning. Soon it will also have a layer of solar panels on top of the building’s roof to provide additional protection from the heat of the sun and at the same time generating electricity for the building’s needs. 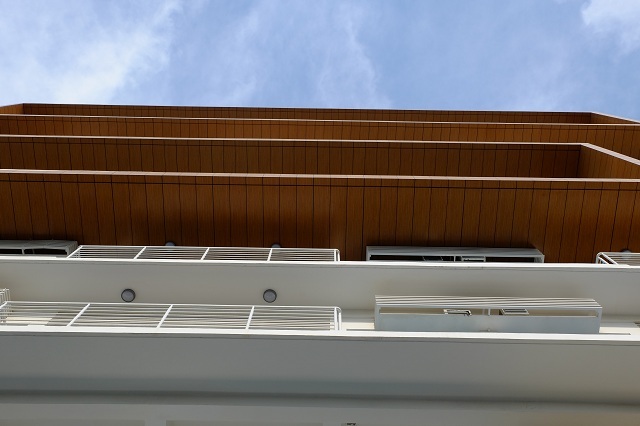 In the long run, this type of building allows residents to save on energy costs. Especially with the power rates climbing in a steeper incline lately, green buildings are obviously smart decisions. Although the initial investment – because to buy a green unit is indeed a form of investment – may look high, eventual savings would actually defray the capital. In addition to the benefits unit owners would get, green buildings will help with the situation of the locality in terms of energy efficiency. Since it is partly – or wholly – sustainable, it can alleviate power load stress. The further beauty of buildings like this is that obviously, with the trend of development anxious to ‘go green’, eventually this would appreciate in value. Already, a preference for less environmentally harmful products is growing. Green buildings may still be relatively new right now but they are no longer luxuries. They have become a necessity. Want to own a green property? Check out Primavera Residences’ condominium for sale in Cagayan de Oro.